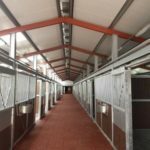 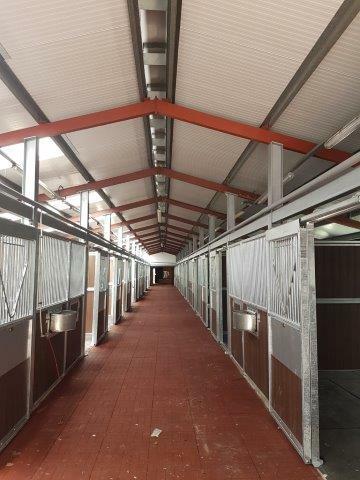 Eve Lodge Racing Stables on Hamilton Road in Newmarket have had a full makeover with 39 new Stables, Washboxes & Tack Rooms fitted out with Quattro’s Resin Bonded & Joint Sealed Stable Matting. 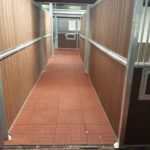 The two Washboxes had the floors finished with our 22mm Diamond Top High Density Mats to give a high degree of grip in a wet area with the added benefit of a sealed hygienic finish. 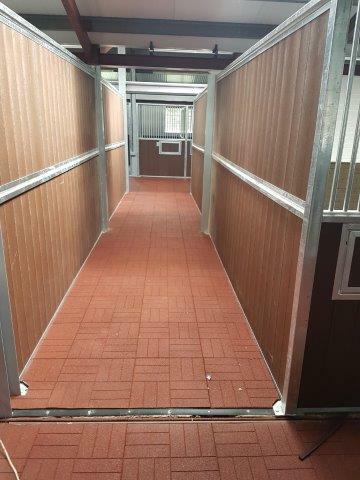 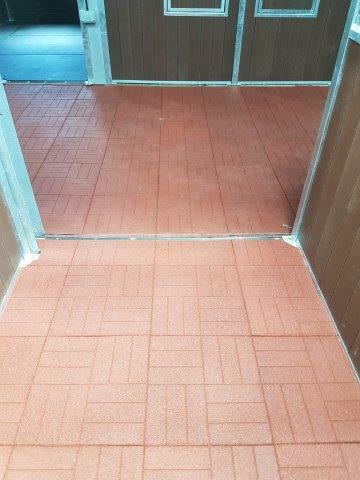 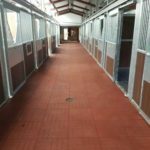 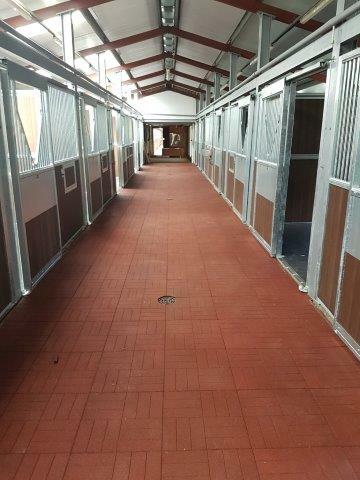 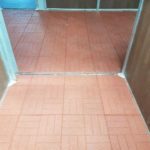 The central passageways have been completed with our Brick Effect Rubber Tiles in Red which were bonded in to place with our Matbond resin to give a very safe and attractive surface for the racehorses to walk over.